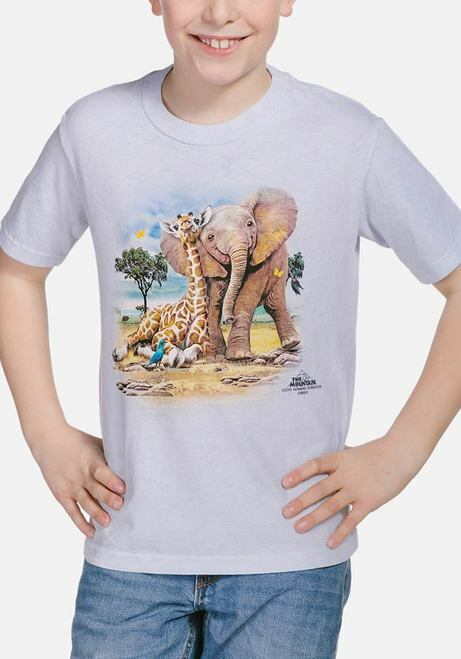 This children's t-shirt from The Mountain® is absolutely adorable. Artist Howard Robinson has created an adorable pair of animal friends. The image features a giraffe and elephant cozying up together. Artist Corner: Howard Robinson is a UK artist and a rare bird breeder. He has travelled the globe giving presentations. He's even met the queen! His artwork is licensed through out the world and his art is known for the cute animals and wildlife he paints.